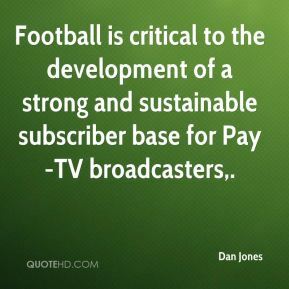 Football is critical to the development of a strong and sustainable subscriber base for Pay-TV broadcasters. It's going well; we've had real good crowds since about noon; people are very enthusiastic and people are out having fun. I think it's just one of the absolutely busiest days. 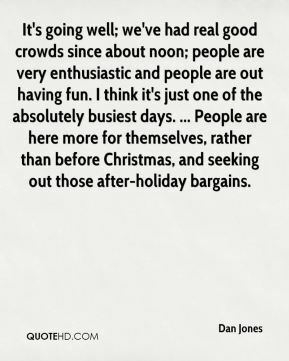 ... People are here more for themselves, rather than before Christmas, and seeking out those after-holiday bargains. 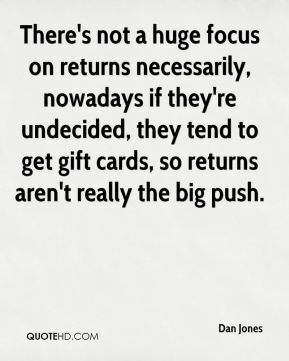 There's not a huge focus on returns necessarily, nowadays if they're undecided, they tend to get gift cards, so returns aren't really the big push. 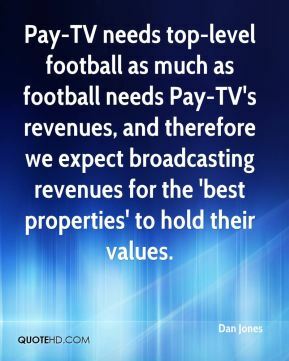 Pay-TV needs top-level football as much as football needs Pay-TV's revenues, and therefore we expect broadcasting revenues for the 'best properties' to hold their values. 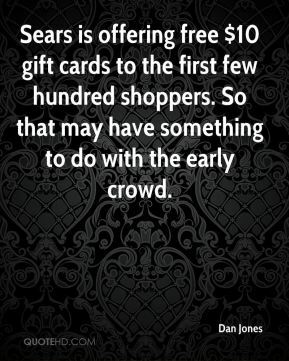 Sears is offering free $10 gift cards to the first few hundred shoppers. So that may have something to do with the early crowd. 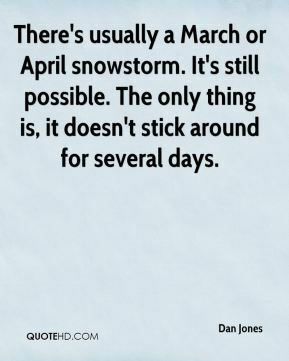 There's usually a March or April snowstorm. It's still possible. The only thing is, it doesn't stick around for several days. Liverpool have to make sure they have a long-term business plan and the people to back that up. 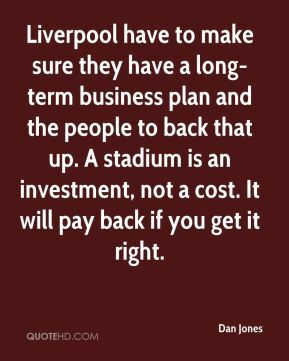 A stadium is an investment, not a cost. It will pay back if you get it right. You'd better be a tough fisherman. A lot of times it seems like the worse the weather, the better the fishing. If you get a calm night it can be real slow. 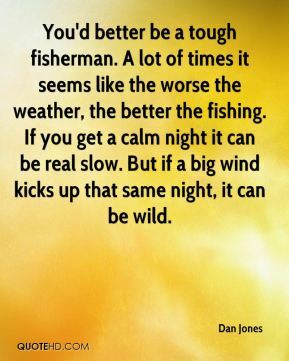 But if a big wind kicks up that same night, it can be wild. It was one of those once-in-a-lifetime deals. The fish were really turned on. 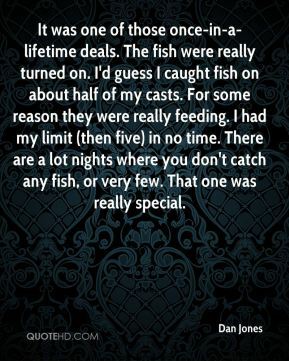 I'd guess I caught fish on about half of my casts. For some reason they were really feeding. I had my limit (then five) in no time. There are a lot nights where you don't catch any fish, or very few. That one was really special. 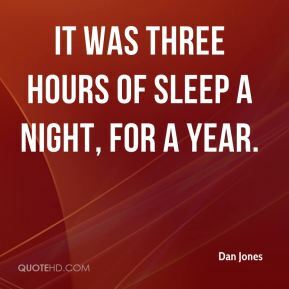 It was three hours of sleep a night, for a year.